This little ticket (I'm assuming it was a ticket) comes with no provenance or context. It was in a box with many other scraps of ephemera, in a junk store. 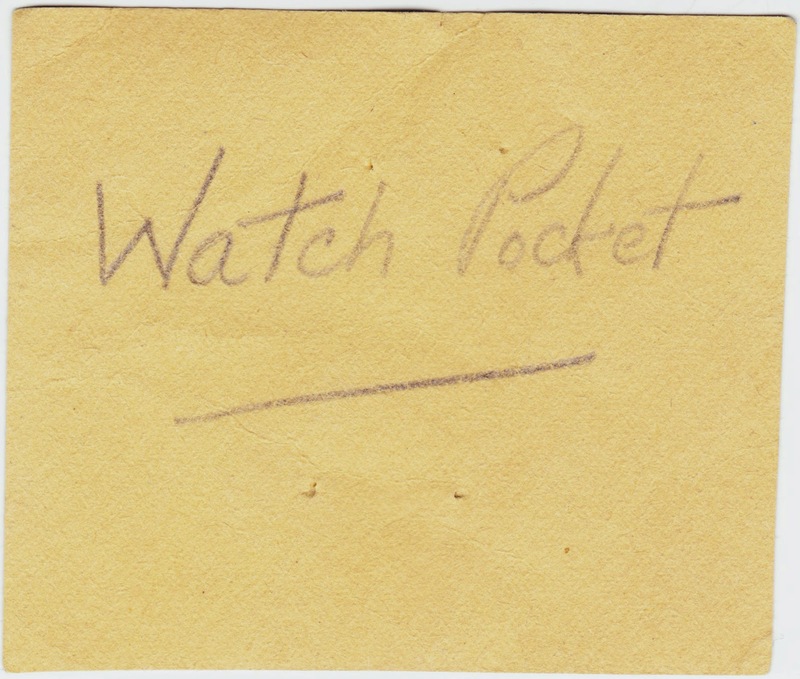 Written on the reverse, in pencil, is "Watch Pocket." This piece of paper is a little less than three inches wide, so it would indeed be the perfect size for a pocket. Was that a young man's reminder to himself of where to put the ticket after he got dressed for the prom? In modern times, the purpose of a post-prom party, or "prom after party," is to create a fun and safe environment to keep teen-agers away from drugs, alcohol and other dangers that adults think they might encounter if left to their own devices. The Maryland-based PostProm.org is one website that offers ideas for after-prom parties that can be appealing to teens ready to take on the world. Its stated purpose: "The primary goal of a school and/or PTA and/or community sponsored post prom or after prom party has to be ensuring the safety and well-being of 'invincible' high school teenagers — those who go to the prom, as well as, those who don't." "Proms worked their way down incrementally from college gatherings to high school extravaganzas. In the early 1900s, prom was a simple tea dance where high school seniors wore their Sunday best. 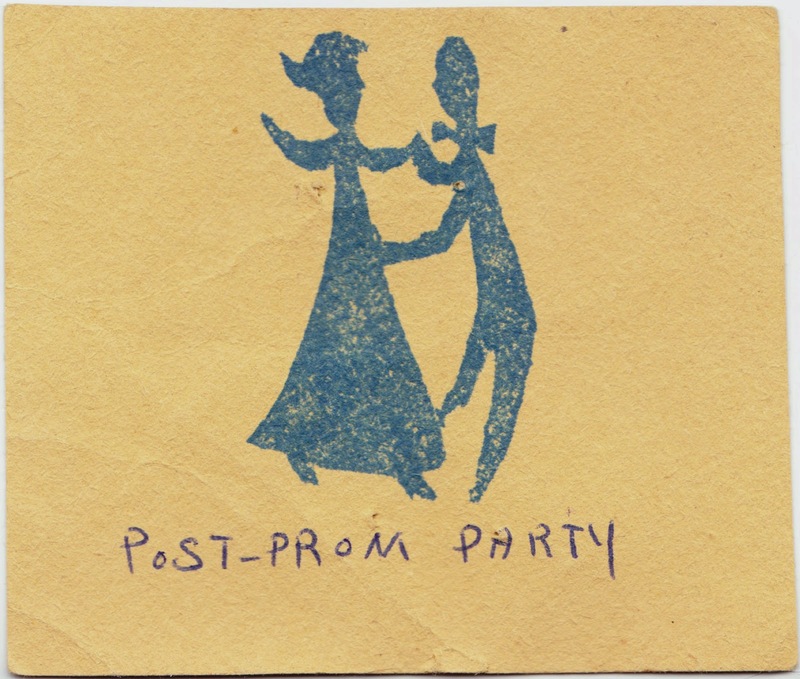 In the 1920s and 1930s, prom expanded into an annual class banquet where students wore party clothes and danced afterward. As Americans gained more money and leisure time in the 1950s, proms became more extravagant and elaborate, bearing similarity to today’s proms. The high school gym may have been an acceptable setting for sophomore dances (soph hop), but junior prom and senior balls gradually moved to hotel ballrooms and country clubs."